If television commercials for prescription and over-the-counter antacids are any indication, acid reflux has reached epidemic proportions. 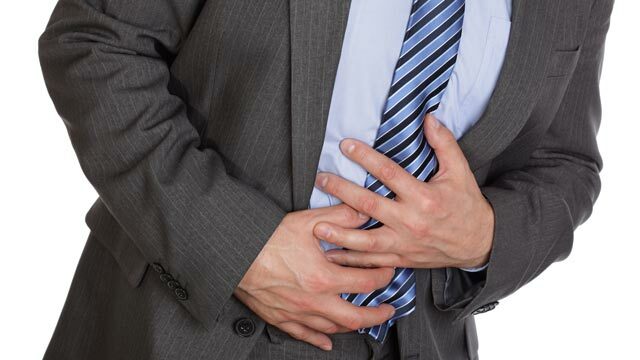 Stomach acid has launched an all-out attack on people&apos;s digestion and quality of life, inching its way up into the esophagus and causing the pain and irritation commonly referred to as "heartburn." But stomach acid is a natural, normal, essential thing. Why does it cause so much trouble for so many people? For the people who suffer from acid reflux, finding a natural remedy would be most welcome, because reflux can make eating — one of life&apos;s simple pleasures and joys — into a painful experience people dread. 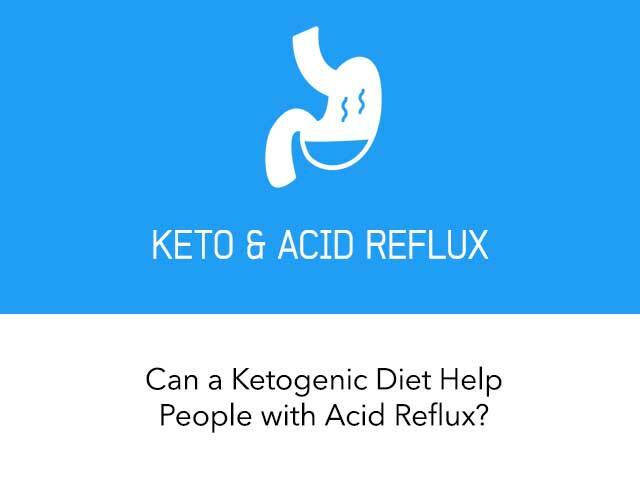 With this in mind, might there be a role for a ketogenic diet in addressing reflux? Owing to the high incidence of acid reflux and gastroesophageal reflux disease (GERD), stomach acid has gotten a bad reputation. It&apos;s been portrayed as something to reduce as much as possible, or, better yet, completely neutralize. If only we could eliminate stomach acid altogether, we would have a permanent cure for reflux and indigestion, right? Your stomach is supposed to be acidic. Very acidic. Between meals, an "empty" stomach has a pH of about 1-3, usually around 2. During a meal, when food is in the stomach, the pH rises to 4-5. The pH scale measures acidity: 7 is neutral, lower than 7 is acidic, and higher than 7 is alkaline. It&apos;s a logarithmic scale, so a pH of 6 is ten times more acidic than a pH of 7, and a pH of 5 is a hundred times more acidic than a pH of 7, so you can see that even when the pH of your stomach rises in the presence of food, it&apos;s still highly acidic! To give you a better sense for this, lemon juice has a pH of about 2 and vinegar&apos;s pH is around 2-3. The pH of your empty stomach is only slightly less acidic than battery acid! Not only is your stomach supposed to be acidic, but it must be acidic. The chemical breakdown of carbohydrates begins in your mouth, thanks to enzymes in your saliva. But the breakdown of proteins and fats begins in your stomach, and the primary conductor of the digestion orchestra is your stomach acid. Think of proteins as strands of Christmas lights: multiple cords that are all tangled up. Job #1 of your stomach acid is to untangle these strands — a process called denaturing. When proteins are denatured, the enzymes in your small intestine that break them down into individual amino acids or small groups of amino acids (called peptides) have better access to them and are able to break them down properly. Your stomach needs to be highly acidic not just in order to properly denature proteins, but also because the acidity signals other enzymes (such as gastric lipase, which is an early step in digestion of fats) to perform their functions, and these enzymes function optimally in an acidic environment. Additionally, the stomach is supposed to be highly acidic so that the denaturing of proteins can occur relatively quickly, and your food can be passed along for the rest of your digestive tract to go to work on it. Food isn&apos;t supposed to sit in your stomach forever. Stomach acid is supposed to take care of the proteins, enzymes do some initial work on the fats and carbohydrates, and then the food is supposed to move along. Not only that, but when the food does move along, it, too, should be acidic. The acidity of the partially digested food (called chyme) entering the small intestine signals the intestine to secrete bicarbonate ions, which neutralize the acid, creating an alkaline environment in the small intestine. This is crucial, because unlike the stomach, the digestive enzymes of the small intestine function optimally in an alkaline environment. You can see now that your stomach acid needs to be highly acidic, because it sets the stage for proper digestion not only in the stomach, but also in the small intestine, which is where the majority of digestion occurs. If you have too little stomach acid, or the acid you produce is not sufficiently acidic, food will remain in the stomach longer than it should. Some of the carbohydrates you consume — especially grains, but also other starches — may begin to ferment as they remain in your stomach for an extended period of time, and this creates gas. This gas may put pressure on the lower esophageal sphincter (LES), which is a small bundle of muscles between your esophagus and your stomach. This sphincter is supposed to remain closed except after you swallow and food presses against it, causing it to open and allow the food to pass into your stomach. Most of the time, this is a unidirectional process — one way: food and beverages go from the esophagus into the stomach. But it&apos;s not always unidirectional. Food and liquids can move from the stomach back up into the esophagus. If you&apos;ve ever vomited, then you&apos;ve had personal, unpleasant experience with the two-way action. The thing is, the LES is an involuntary muscle — meaning, you can&apos;t deliberately move it, the way you can with your quads or your biceps. It opens and closes on its own. The opening of the LES during vomiting is a natural response to an emergency need to eliminate something toxic. But some people have a weakened LES that&apos;s more prone to opening in benign circumstances. The problem with foods coming back up, or refluxing, into the esophagus is that, unlike the internal lining of your stomach, which contains a layer of mucus that protects it from being eroded by stomach acid, your esophagus contains no such protection. So when foods that have been exposed to stomach acid bubble back into the esophagus, the acidity causes burning and irritation. But remember, this doesn&apos;t happen because the stomach is too acidic; it happens because it isn&apos;t acidic enough. What Causes Reduced Stomach Acid? Stress is a major culprit — one people rarely think of when they think about indigestion and reflux. The cliché of a stressed-out executive grabbing a fast food lunch, eating it standing up, and then popping antacids for the rest of the day while running from one meeting to the next has a lot of truth to it. If your sympathetic nervous system — responsible for the "fight or flight" state — is going full speed, it overpowers your parasympathetic nervous system, which is responsible for the "rest and digest" state. The physical breakdown of food begins in your mouth, with chewing, but the biochemical aspects of digestion begin in your brain. If you&apos;re constantly stressed out, then your body interprets this as your being in a perpetual crisis, in which case digesting your food is not a top priority, so stomach acid secretion is reduced. Another cause of reduced stomach acid is prescription antacids. Two of the common types are proton pump inhibitors (PPIs) and H2 receptor antagonists. These drugs are prescribed to treat acid reflux, and also for stomach ulcers. Like so many pharmaceutical drugs, by suppressing the secretion of stomach acid, these drugs do help alleviate heartburn in the acute sense, but over the long term, they actually make things worse. Many people with acid reflux don&apos;t need less stomach acid; they need more, so these drugs only address the immediate symptoms. They do nothing to correct the underlying problem. Perhaps this is why as much as 30-40% of patients don&apos;t respond to pharmacological treatment and 60% report residual symptoms despite drugs for acid reflux being a $12.5 billion dollar industry in the U.S. alone (2). Other contributors to reflux in some people include smoking (3), high alcohol intake (4), and anatomical issues, such as hiatal hernia (5). (Hiatal hernia is a condition in which a small portion of the stomach protrudes through the diaphragm, putting increased pressure on the LES from below.) Obesity might be another factor in GERD — specifically abdominal obesity, where fat is mainly carried at the midsection. Eat smaller meals: Smaller meals mean less food in the stomach, and therefore, potentially less likelihood for upward pressure on the LES to cause reflux. Avoid acidic, spicy, and fatty foods: While these foods may not be the primary cause of reflux, acidic foods may be more irritating to the esophagus when the LES is weakened. These foods include coffee, carbonated beverages, tomatoes and tomato sauces, lemon and other citrus fruits and juice, hot peppers, garlic, onions, vinegar, and other acidic foods. Chocolate and peppermint may also exacerbate GERD in some people. Lose weight if you are overweight or obese: A larger concentration of body mass in the abdominal area may mean increased pressure on the LES, potentially resulting in acid reflux. Certainly, not all overweight individuals experience reflux, and plenty of lean individuals do. So excess body weight is not an ironclad cause of reflux; it&apos;s simply one among many contributors that could be addressed if an overweight individual experiences frequent heartburn. Take supplemental HCl: Stomach acid is available in supplement form, as betaine HCl. Take apple cider vinegar before meals: Providing acid directly may help increase the stomach&apos;s acidity. Many people find a squeeze of lemon in their water helps aid digestion; perhaps this is why. Keep in mind that many cultures around the world consume pickled or fermented foods with their meals, especially when the meals are rich or fatty, such as the European tradition of sauerkraut or cornichons with sausages or pâté. Think of these acidic condiments as digestive aids. Don&apos;t eat while acutely stressed: Relax! Allow that rest and digest part of your physiology to shine. Try not to eat in your car, standing up, or otherwise on the go. When possible, avoid conducting business during meals. Try to eat in a calm frame of mind and in pleasant surroundings. Easier said than done, especially if you&apos;re a parent of young children, but try to be as calm and unhurried as your circumstances allow. As mentioned earlier, prescription antacids inhibit the natural, normal secretion of stomach acid. But stomach acid is essential for proper digestion, including liberation of vitamins and minerals from food. The old saying, "You are what you eat" isn&apos;t quite accurate. You&apos;re not what you eat but rather, what you digest and absorb. So imagine the consequences for someone who has been dutifully taking a powerful antacid for years, maybe decades. Their absorption of key nutrients has been compromised for this length of time, which can affect any number of body systems and functions. Owing to reduced absorption of calcium, zinc, iron, magnesium, and vitamin B12, long-term antacid use is associated with increased risk for several alarming outcomes: chronic kidney disease (6,7), iron deficiency (8), hypomagnesemia (low blood magnesium) (9,10), bone fractures (11,12,13), B12 deficiency (14), pneumonia (15), and dementia (16,17). People who consume these drugs for extended periods of time think all they&apos;re doing is reducing their stomach acid. They often have no idea that the consequences can be so dire. Over-the-counter antacids may not carry risks quite as severe as prescription versions. Rather than preventing the normal secretion of stomach acid the way the prescription PPIs and H2 receptor antagonists do, OTC antacids buffer or neutralize acid that has been produced. Taken often, though, and over the long term, the way many individuals use them, it&apos;s possible for them to ultimately lead to some of the same conditions the prescription medications do. Considering these very serious issues, it would be helpful to find a natural strategy for eliminating acid indigestion. Anecdotes abound on various blogs and forums, but there&apos;s also a solid body of scientific research corroborating what many people have discovered for themselves: However illogical it may seem at first glance, low-carb and ketogenic diets have proven very effective for relieving GERD and reflux. Many people who adopt ketogenic diets for fat loss or some other goal find that resolution of acid reflux/GERD is an unexpected and pleasant "side-effect." One study reported on five patients who self-initiated low-carb diets and had resolution of GERD. To be fair, three of them eliminated coffee, and all of them eliminated acidic foods, but the researchers noted that "carbohydrates may be a precipitating factor for GERD symptoms and that other classic exacerbating foods such as coffee and fat may be less pertinent when a low-carbohydrate diet is followed" (18). Another study added weight to the possibility that carbohydrates are, indeed, a trigger for GERD symptoms. In a small cohort of adults with GERD, compared to a liquid meal containing 85 grams of carbohydrate, a liquid meal of the same volume but containing about 180 grams of carbohydrate resulted in greater total time experiencing reflux and a greater number of long reflux periods (lasting more than 5 minutes) (19). A liquid meal of 85 grams of carbs is not something any good nutritionist would recommend for a low-carb or ketogenic diet, but this study wasn&apos;t specifically about a low-carb diet. It was designed to evaluate "the effect of different carbohydrate density on low esophageal acid and reflux symptoms," and it certainly did: the high-carbohydrate meal aggravated GERD more than the lower-carbohydrate meal. A more formal study that did evaluate the effects of a ketogenic diet confirmed the efficacy of carbohydrate restriction: in a small prospective cohort, obese subjects began a ketogenic diet after undergoing a 24-hour esophageal pH probe test (which measures the pH of the esophagus). Within just six days, subjects had dramatic improvements in GERD (20). The Johnson-DeMeester score is used to measure esophageal acid exposure. A score > 14.72 indicates reflux. At baseline, the subjects&apos; mean score was 34.7, and after just six days it had dropped to 14.0. The percent of time during which their esophageal pH was very low (highly acidic) was cut in half, and they reported significant improvements in their symptoms via a standard GERD questionnaire that assesses subjective feelings of heartburn, pressure or discomfort inside the chest, a sour taste in the mouth, frequent gurgling in the stomach, nausea, a feeling of pressure or a burning sensation in the throat, belching, flatulence, and more (21). This study is telling, because not only did the subjects report improvements in their own symptoms, but the reduced esophageal acidity was confirmed by direct measurement. In the most impressive study performed so far, in a cohort of obese women, after just 10 weeks on a low-carb diet, in all subjects with a confirmed GERD diagnosis, "all GERD symptoms and medication usage had resolved in all women" (22). That&apos;s right - within only 10 weeks, all subjects with GERD had complete resolution of symptoms, including women who&apos;d experienced symptoms twice daily or as often as 5 times per week. All medication, both prescription and over-the-counter, was discontinued. The authors noted, "Contrary to long-held belief that higher fat intake promotes GERD symptoms; nationally representative data do not show a strong association between dietary fat and GERD. Thus, the present study provides important insights that contribute to the accumulating evidence of a role for dietary simple carbohydrates in GERD pathophysiology. We found that simple carbohydrates, particularly sucrose, contribute to GERD in obese women and the likelihood of having GERD was predicted by simple carbohydrate (total sugars) intake." It appears that ameliorating GERD and acid reflux has less to do with what you put in your mouth — antacids — and more to do with what you don&apos;t put in your mouth: large amounts of carbohydrate. If you&apos;re living with discomfort and reduced quality of life from acid reflux, and food has gone from a pleasure to a pain, consider trying a low-carb or ketogenic diet. You&apos;ve got nothing to lose except maybe a few excess pounds, your reflux, and perhaps even your antacid prescription. If you&apos;ve been on prescription antacids for a significant length of time, it is not advised to quit them cold-turkey. Find a physician who can help you get started with a low-carb approach and wean off your medication safely. Reducing pills dose while doing Keto diet, is still a good way of ger rid of GERD for personal like me that have hiatal hernia? Hard for me to comment on a specific medical situation. I would ask your doctor about slowly titrating down your dose of antacids since you have a hernia. Most of this kind of thing comes down to personal experimentation -- try it and see how you feel. In general, though, it is not usually recommended to stop antacids cold turkey if you've been on them for a long time. Work with your doctor to reduce the dose gradually as you change your diet and you can monitor your symptoms. Thank you for the informative article. I'm trying to figure out, why after being on a ketogenic/low carb diet for a year, my reflux went away, only to return a few weeks ago. Went to the emergency room with chest pains and pains in the middle of my back. Came out with the advice to take Pepsid for 10 days because of esophageal spasms. Seriously thought I was having a heart attack, my pain being that bad. What the heck is the problem? Were they absolutely, positively sure it was reflux, and not something else? Can you think of *anything* you did differently that day or the day before that might have been a factor in triggering the episode? Eat anything unusual? Were you dealing with an unusual load of stress? Thanks for this wonderful article. I really enjoy drinking milk, How do you think high fat milk will effect the acid reflux problem? It argues the same points as in your article and it suggests a method to overcome acid reflux without allopathic medication even if you are suffering from acid reflux for years and tried everything now. The testimonials looks amazing. I wanted to know your opinion, do you think it is helpful? I was taking a prescription, generic, version of nexium for 2 years before I started Keto. I couldn't drink coffee (unless it was cold brewed). I couldn't eat tomato sauce and other things. I constantly woke up in the middle of the night with my esophagus on fire. Shortly after starting keto, I stopped taking the pills just to see what happened. That was in January '18. I haven't taken a pill since! Another surprise is that my sleep apnea and snoring have pretty much disappeared. I'm down 70 pounds in under 8 months and feeling good!! Did u take caution on kind of food that u eat after u leave the pills? I am taking nexus 40mg started with Keto diet like 4 days ago but not sure if I should leave my pills right now or wait to me more comfortable with the diet or been on ketosis. What do u recommend me based on your experience. Another question, do u have hiatal hernia? Cos I have and I am thinking if leaving pills and doing keto is still a good recommendation. Great to hear, Ed! Your story adds to the evidence we already have that this is very, very effective for many people. Glad you're feeling better with keto! I have read all of the comments and most of you say that your acid reflux has disappeared with the Keto diet. I have suffered from acid reflux since I was a teenager. I take 40 mg of nexium everyday. My whole moms side of the family has it even if they are skinny or slightly bigger. Should I just quit taking my nexium rate off the bat with starting this diet? Also how long would I have to test this Keto diet out to see if my acid reflux goes away? I was thinking if my reflux doesn’t go away after doing Keto for a week I may have to go back to nexium. Any suggestions? Thanks for reading. I don't know if there are any black & white definite answers to this. If you've been on a prescription antacid for a long time, it's usually recommended that you slowly decrease the dose, rather than quitting it all at once. So maybe do that. Even better if you can get your doctor's advice on titrating down your dose. The reflux usually disappears quite quickly, but I would give it a few weeks on keto to be sure. I don't recommend stopping the antacid cold turkey. Do you still have symptoms even while taking it? This blog validated everything I have been experiencing on keto. After 20 years of taking prescription PPI’s and avoiding all the previously recommended trigger foods, I am not taking PPI anymore! I strongly feel that no grains or high sugar fruits is my answer along with keto. I also do the unthinkable now and make a glass of homemade lemonade with stevia before my two meals to take with digestive enzymes. Life is good and I feel free! Sounds great, Marcella! So glad you've found something that works for you. There is a good deal of faulty information here. I was on a ketogenic diet for years before developing reflux. For 25 years I avoided carbs and grains as a patient of the real Dr. Atkins. I was also using apple cider vinegar. I developed reflux while on this ketogenic low carb diet which included using ACV. The most respected doctors working with LPR contradict all of the advice given here. In LPR the reflux goes farther than the esophagus all the way up into the throat. To protect against damage from the stomach acid mucus is formed in the esophagus and larynx. 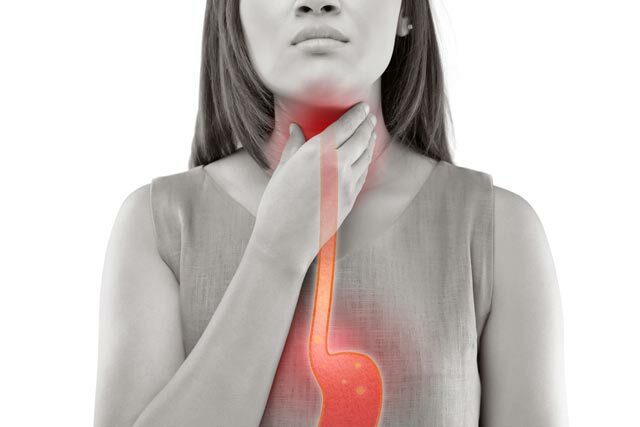 Excessive mucus in the throat which causes voice issues is a symptom of LPR. The most respected New York City doctors treating acid reflux are Jonathan Aviv and Jamie Kouffman who have written books on the subject and have appeared on numerous TV programs including the Dr. Oz show. These doctors state that vinegar is the worst thing one can consume if one has reflux. They say that that vinegar can exacerbate acid reflux, maybe even cause it. They prescribe a bland low fat diet that is high in grains, beans and many foods avoided on the low carb keto diet. Hello Linda, I'm sorry this happened to you but I beg to differ. Keep in mind that there are other factors that play a significant role in developing acid reflux. A ketogenic diet does not cause acid reflux unless you can point us to the scientific evidence proving the opposite? I'm afraid we really can't take Dr. Oz into consideration because that resource is far from being respectable. As with every dietary approach there are people who would claim anything but what matters is scientific evidence. The claim that "vinegar can exacerbate acid reflux" is based on the assumption that acid reflux sufferers need to suppress their acid production rather than support it and that is fundamentally wrong. A low-fat diet high in carbs is what makes these poor patients take PPIs for life. I’ve been taking the generic for Prevacid for some years now. If I didn’t take one, I would have terrible acid reflux by afternoon. After reading this article and another one like it, I decided to stop taking that little pill every day. I’ve lost 58 lbs since June 2017, so it’s eased up a bit. Now I have apple cider vinegar handy, and I’m getting to the point where I don’t need it very often. I’m hoping as I get closer to my goal weight (I’m halfway there! ), the acid reflux will dissipate completely. I have been on antacids since early childhood. I took so many tums as a child that my bones are extremely dense. While that may sound like a good side effect, kidney stones from the excess calcium were defynot. My doctor put me on Zantac and I used antacids in between. The problem is, the prescription kept going up and my acid reflux just got worse. This is a family problem. Both my sister and I started having problems asphyxiating on our own heartburns in the middle of the night. Even when I was faithfully taking 300mg of Zantac both am and pm. For my birthday in December, I thought I should give myself the gift of getting rid of my antacid dependence. I started taking beteine HCL every time I had a heartburn. I quit the antacids cold turkey to give it a fair shot. What was the worst that could happen? I was already nearly choking to death on stomach acid on a nightly basis. To my amazement, it actually worked! I haven’t used a single antacid since December 1st. Happy rebirth day to me!!! I still have reflux occasionally, at which point I just pop some extra beteine or apple cider vinegar, whichever is closer. I’m so thrilled that I took a chance on myself. It has already changed my life! Thank you for sharing this, Livi! Do u have hiatal hernia? Cos I have and I am thinking if leaving pills and doing keto is still a good recommendation. I'm sure that fermenting carbohydrates is one of the problems in causing acid reflux. And according to Barry Groves, foods like red meat (and possibly other animal proteins) also cause your body to make more stomach acid. So a low carb diet may not only help by lowering the carbs, but since people tend to eat more meat on this diet, that may have an added benefit, particularly for those people who have too low stomach acid in the first place. I have also read that a low salt intake can cause low stomach acid, causing acid reflux. I wonder how many people have been ruined by the guidelines to eat as little salt as possible? Considering that half the salt molecule -- sodium chloride (NaCl) is chloride, which is needed to produce HCl (hydrochloric acid, stomach acid), it wouldn't surprise me if a very low salt intake does contribute to low stomach acid, thus exacerbating the issue to begin with. Oy! Great post. I can say that from experience with acid reflux for 30 plus years that since starting a keto regime over 7 months ago that i simply have not suffered from acid reflux from about day two. I am amazed of this outcome as i had researched a lot into reducing carbs and had not come across any mention of this possible positive side effect! So not only have I managed to lose about 30Kg in weight with he diet change and increase in exercise, i no longer have to suffer or worry about that burning feeling and having to rush for my daily dose of antacid tablets. Excellent post Amy, you really took time out to write this incredible knowledge enhancing post. This is so true. I suffered terribly from acid reflux. When I started the keto diet, this was the first thing I noticed....Reflux had subsided. I also found out from my Dr why. My body doesn't produce enough of the enzyme that breaks down carbs as well as though high in sugar. Eliminating these things from my diet has given me great relief. 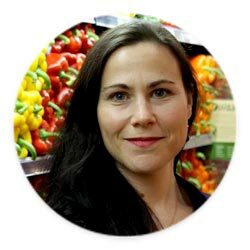 I was in constant pain and discomfort for a long time and I tried everything to get rid of my reflux. Three weeks into KETO and I have barely a hint of my prior constant discomfort. I am even drinking coffee again!!! I am playing around with fasting and seeing if that flairs it back up again just to test the waters. I will say that I used to take an apple cider vinegar pill daily but cut it out because it did seem to instigate minor feelings of acid reflux. With this said, I am assuming my reflux was mainly associated with diet. I have not found relief from Gerd with my success on the Keto diet. I have lost 50 lbs, but my GERD is still an issue especially when I try to fast. I am scared to try vinegar. But am going to go for it. I will let you know how it all turns out. I'm also very skeptical of this but yes, please report back! It's possible there's something else going on, Peggy. Is there any chance you have a hiatal hernia? I think there are also other structural issues that can contribute to a weakened LES, and if that's the case, keto probably wouldn't have the same effect on resolving the GERD. Of course, it's possible that some people do have too much acid. It's just a lot more common for people to have too little. 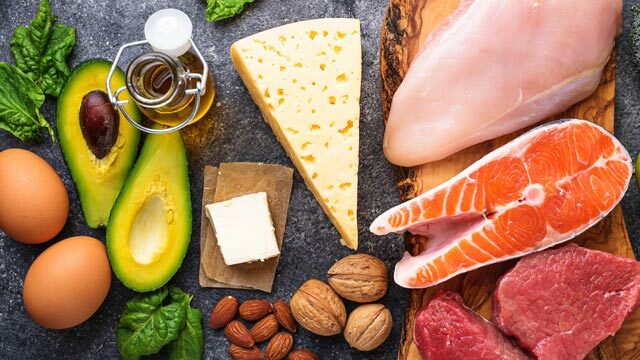 Can the Ketogenic Diet Help Reverse Insulin Resistance?